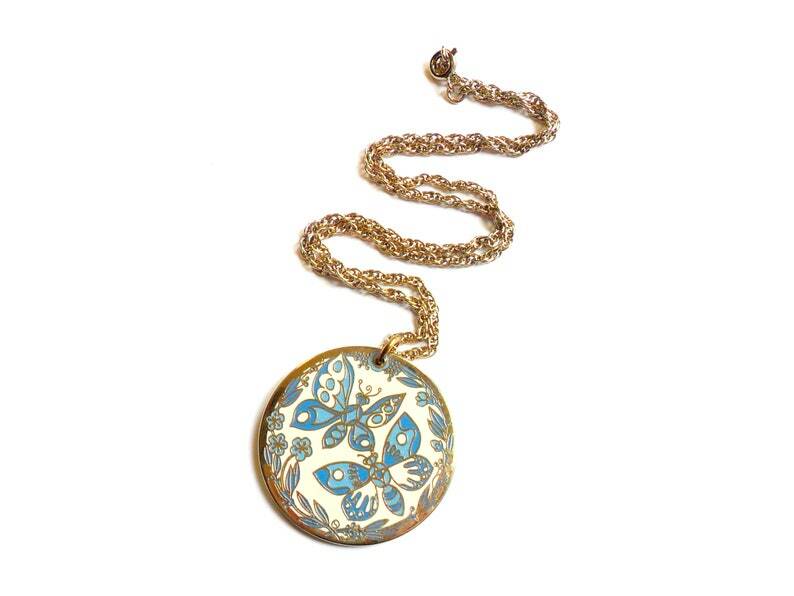 Lovely vintage cloisonne enamel pendant with blue and white butterflies on silver tone metal. Back is signed "CLOISART". Pendant shows minimal wear. It is attached to a silver tone rope chain. Pendant measures 1.5 inches in diameter. Chain measures 18 inches.